Welcome to Call Center World, a collection of recent pieces by TalentSprout! 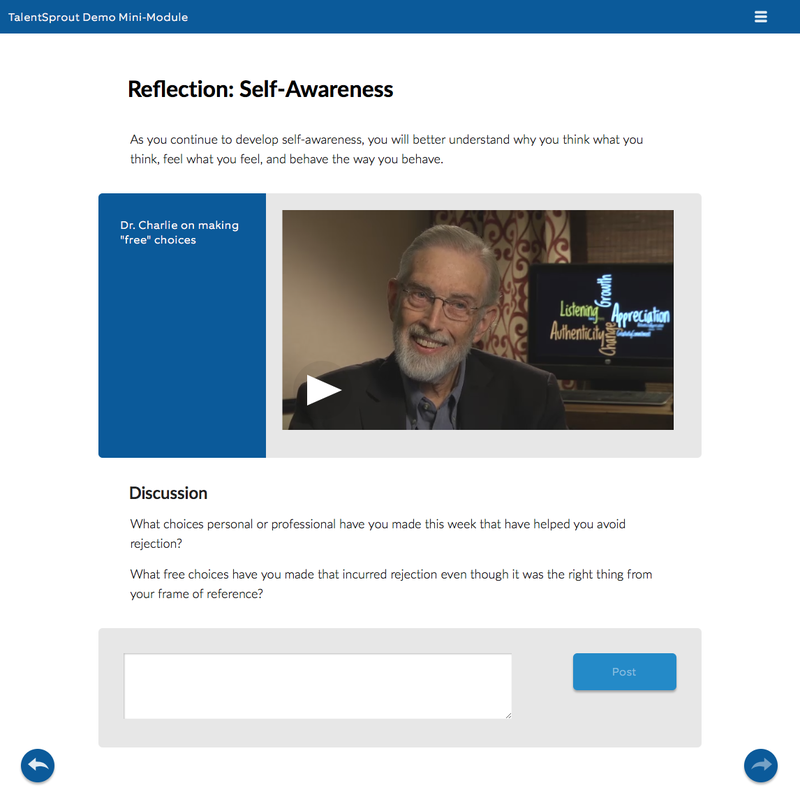 You can try out samples of our work, which showcase different approaches to making training that is insightful, memorable, and actually improves outcomes. If you want to use these pieces off-the-shelf, or have us build you custom training, or simply learn more about what we do, don’t hesitate to reach out to us! The call center leaders of tomorrow are probably working the phone lines as agents right now. How can you find the agents who have potential as a team lead, or even a site manager? Let them try it out! Learners will gain a deeper understanding of how call centers operate, including the various metrics used to gauge performance. “Gamification” is a hot topic in eLearning today, but when was the last time you saw gamification that anyone would actually choose to take? The games that people choose to play aren’t the same old eLearning plus leaderboards and badges, they are exploratory environments where learners have goals, consider options, and solve problems. This simulation will give you 12 days of realistic challenges. Can you figure out how to run your center to meet the shifting needs of your client? How many courses have you seen where students’ real goal is to click through to the end as quickly as possible? Call center work may seem dull and repetitive, but it’s full of difficult situations involving real people and the very real challenges they face. When designing a learning experience, we leverage these to build realistic and motivating problem-based stories that require learners to explore, experiment with solutions, and reflect on the choices they’ve made. We create realistic task-based learning experiences for everything from complex technical processes to providing coaching and receive feedback, which target key behaviors, impact operational levers, and develop your most valuable asset — your people. Here is an example, centered around people development. In a call center, time is money. You always want to resolve the caller’s problem, but resolving it faster is better for the bottom line. But what to do with the caller that won’t get to the point? Or the caller that is too busy yelling to let you solve the problem? Or the caller that keeps calling back just because they’re lonely? 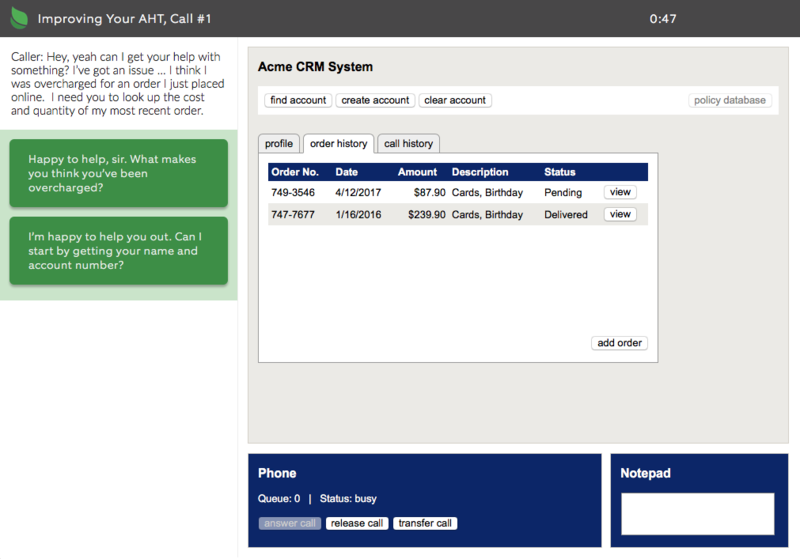 This series of modules includes an introduction, and then scenarios featuring four different archetypes of problem caller. The introduction, which you can play here, features a relatively agreeable caller, and is designed to help users understand the task. 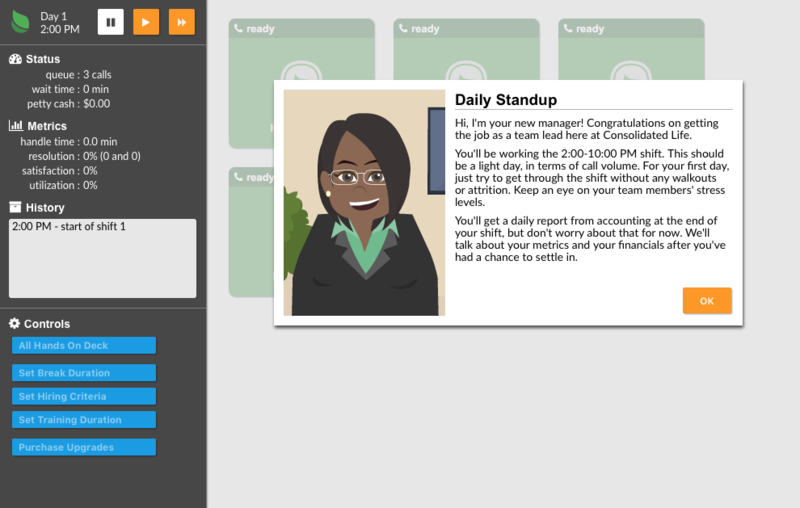 In each module, you can play as many times as you want, to try out different strategies for handling the caller, and compare the outcome and handle time of that approach. Want to know more about how TalentSprout can help you improve your call center training?